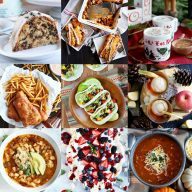 These Last Minute Thanksgiving Recipes are for anyone who is needing a little inspiration the day before turkey day! 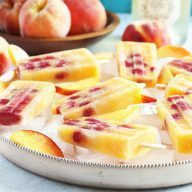 Whether you are attending Thanksgiving and want to bring an appetizer, or you are hosting and need some cocktail inspiration, check out the round up below. When it comes to Thanksgiving, I tend to be a bit of a planner. Ok I am a crazy planner, but despite my crazy planning, I tend to forget something. This year, it was forgetting the fact that I needed to plan for a cocktail to go with the appetizers that I know guests are bringing along with them. OOPS. Thankfully it popped into my brain this morning and I will be popping out to the store momentarily to grab what I need at the very last minute. 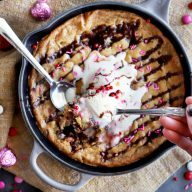 It doesn’t matter if you are a planner or procrastinator, a host or a guest, this last minute Thanksgiving recipes round up is for everyone. Below you’ll find the quick last minute Thanksgiving recipes you need to make your Thanksgiving meal fantastic! 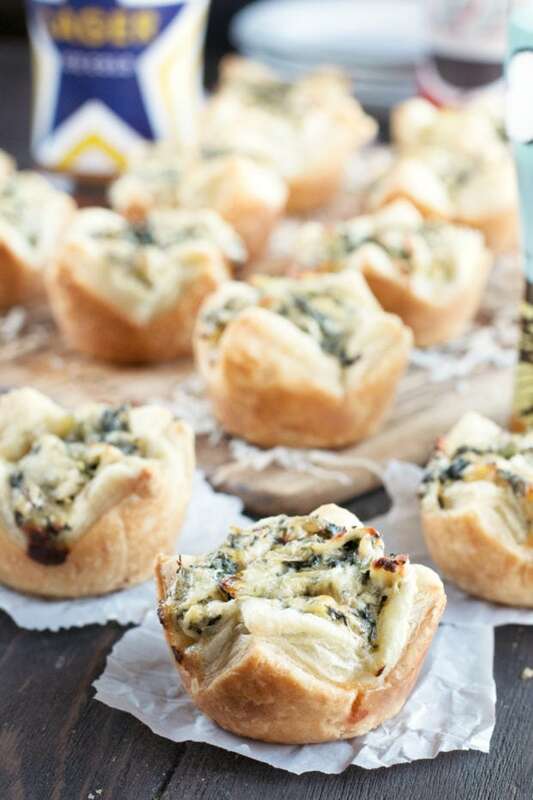 Chicken Spinach Artichoke Puffs – your favorite dip made bite-sized and handheld! Whole Wheat Asiago Sweet Potato Galette – an elegant, hearty appetizer that really wow’s a crowd. Individual Ginger Acorn Squash Soup – creamy and rich, while being served in individual acorn squash shells (less clean up for you!)). 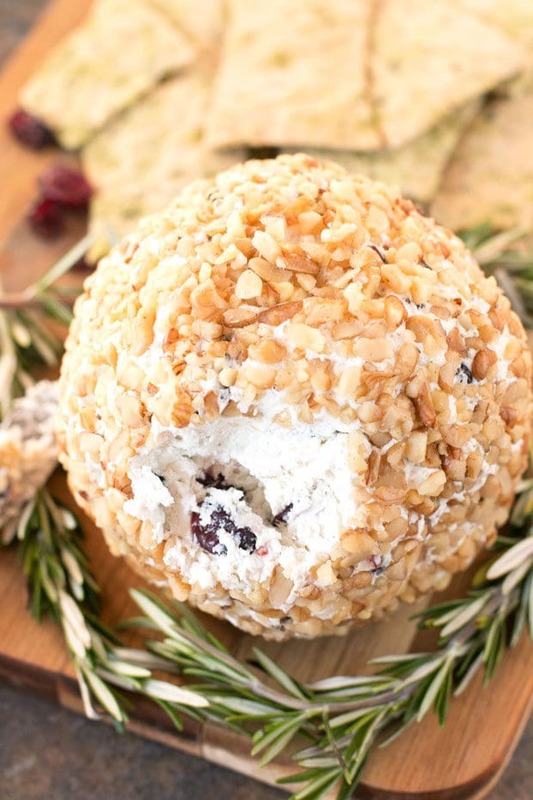 Cranberry Walnut Goat Cheese Ball – the cheese ball is not out of style, especially when it is this easy! Apple Cranberry Baked Brie – an easy baked brie full of fresh apple! Baked Camembert with Cranberries and Walnuts – don’t like brie? Try a baked camembert with seasonal flavors! Roasted Butternut Squash Crostini – simple, straightforward, and flavorful. Enough said. 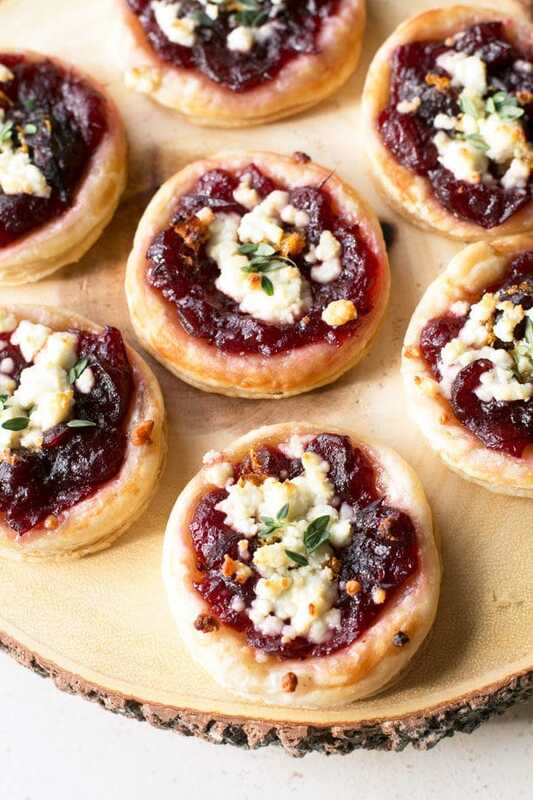 Cranberry Goat Cheese Tarts – simple tarts made with puff pastry to make your life easier. 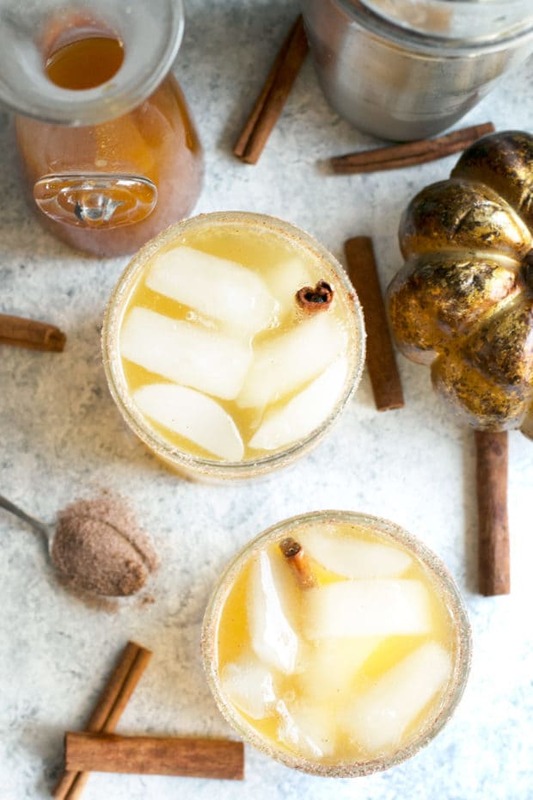 Gingerbread Bourbon Punch – ideal for big parties and a great way to ring in the holiday season. 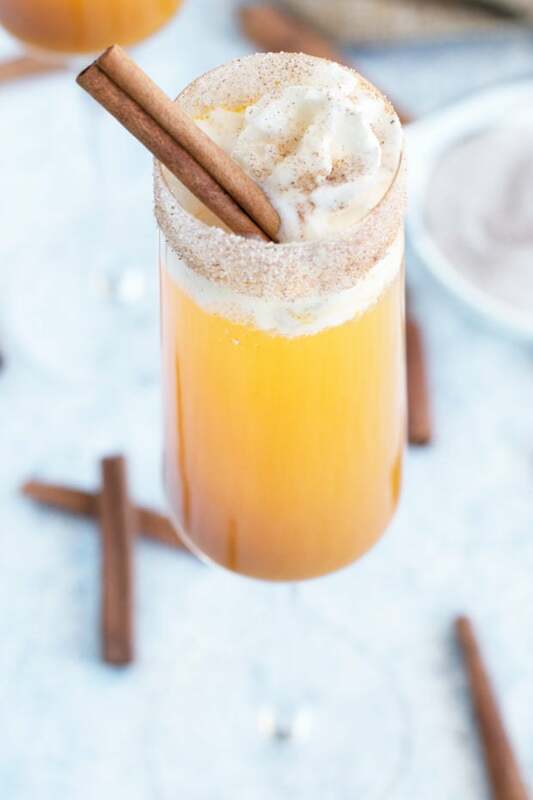 Bourbon Pumpkin Smash – use up that leftover pumpkin puree with this simple drink! Spiced Rum Punch – another recipe for a larger group, with tons of flavor and super addictive. 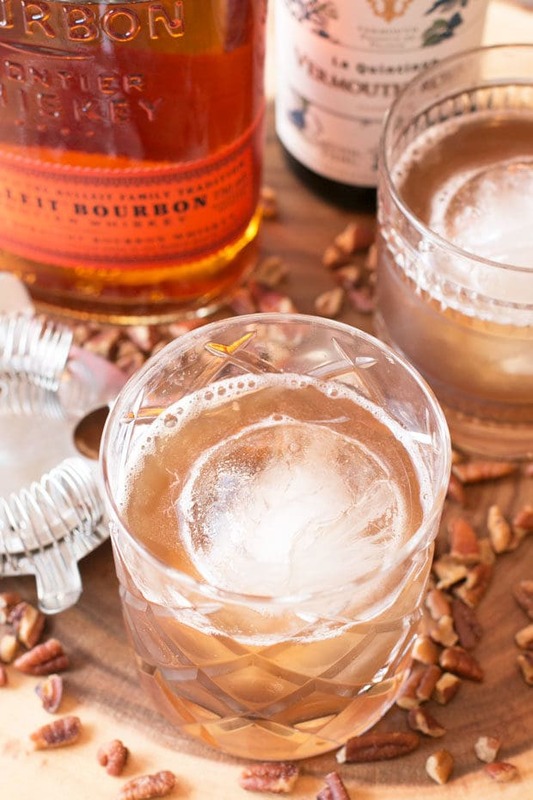 Pecan Pie Manhattan – the best cocktail for pairing with dessert! Big Batch Holiday Sangria – a big batch sangria that everyone won’t be able to stop drinking! 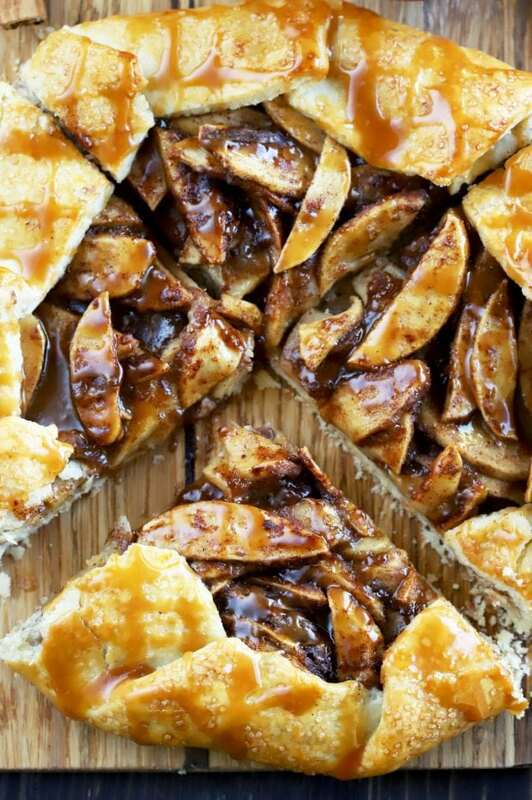 Bourbon Caramel Apple Galette – the best way to serve apple pie, without laboring over a full two-crust pie. Pumpkin Spice Latte Ice Cream with Gingersnap Crumble – creamy no churn ice cream makes life super easy. 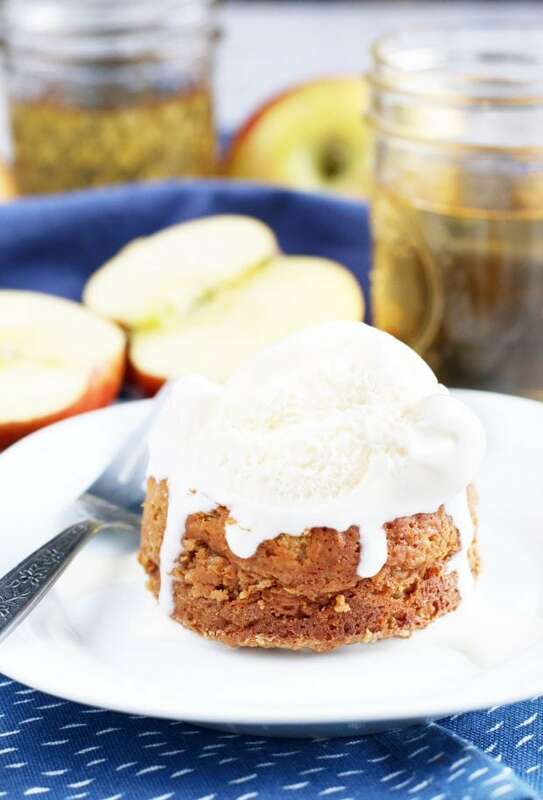 Caramel Apple Molten Cakes – a serious crowd-pleaser and surprisingly simple to make. 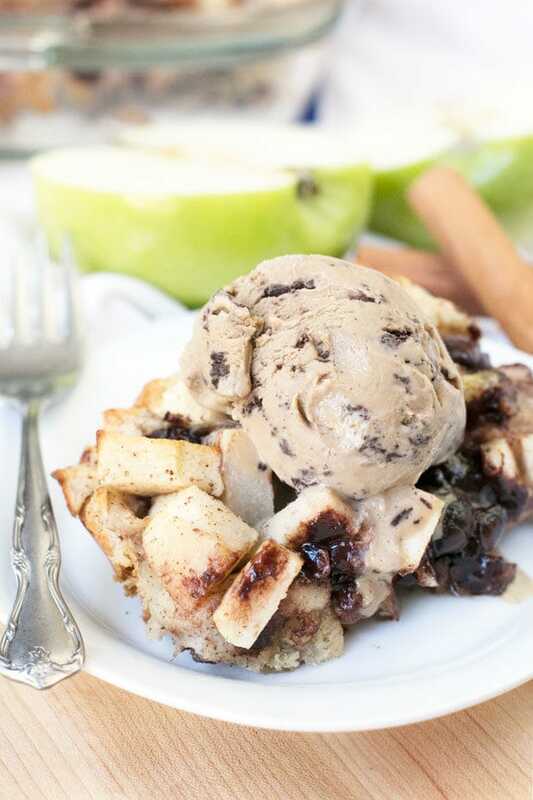 Chocolate Chip Apple Pie Bread Pudding – no need to slave over a pie with bread pudding! Boozy Pumpkin Spice Affogato – no churn pumpkin spice ice cream is topped with hot espresso for the perfect pick-me-up at the end of your celebration. 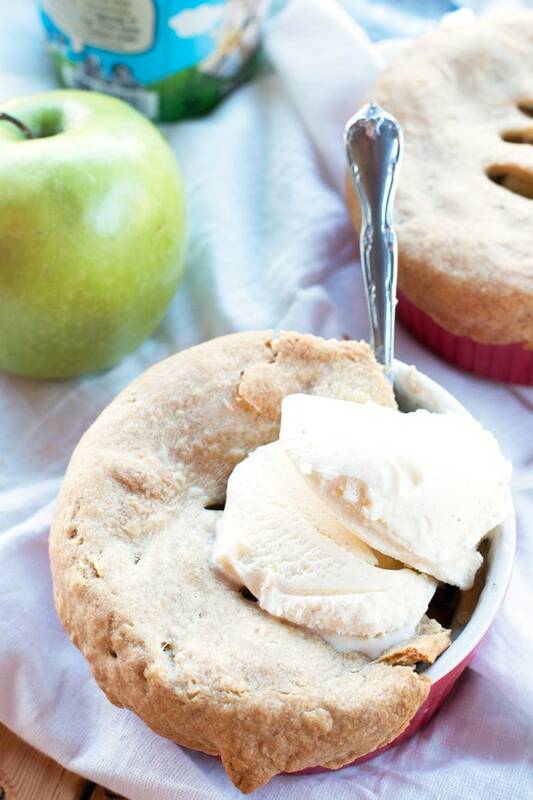 Easy Individual Bourbon Apple Pies – an adorable spin on apple pie, topped with pre-made pie crust! Avocado Caprese Panzanella Salad – full of different textures and flavors to keep mouths happy. Spicy-Sweet Roasted Broccolini – I think broccolini needs a place on the Thanksgiving table and this spicy/sweet version is going to convince you. 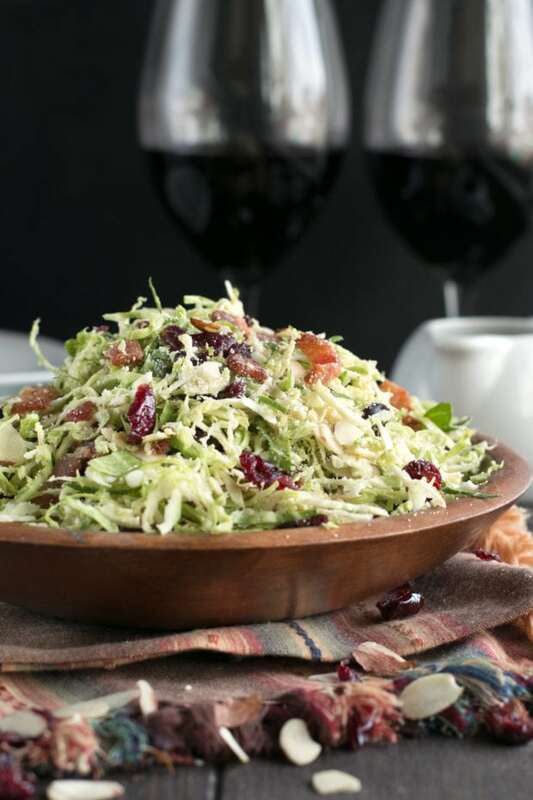 Bacon Cranberry Shaved Brussels Sprouts – the best Thanksgiving salad recipe EVER. Smashed Potatoes with Fresh Herbs & Blue Cheese – a fun way to make potatoes without all the work of mashing potatoes. 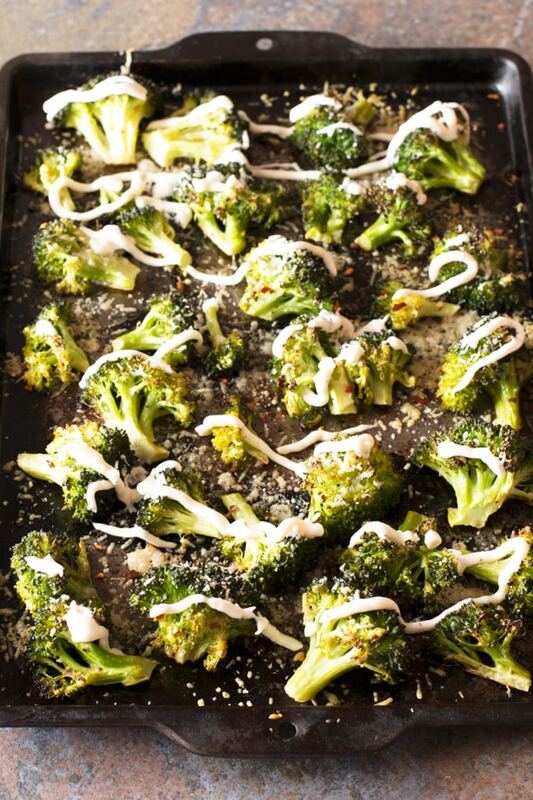 Crispy Roasted Broccoli with Roasted Garlic Aioli – again, broccoli should be on the Thanksgiving table. This one is crispy and has the best sauce on top! 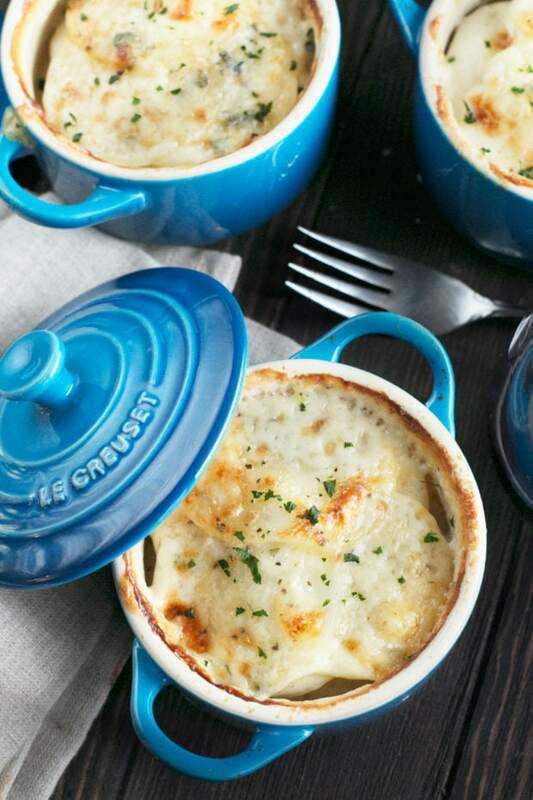 Cheesy Herb Individual Potato Gratin – such a festive and adorable side dish in cute little cocottes!